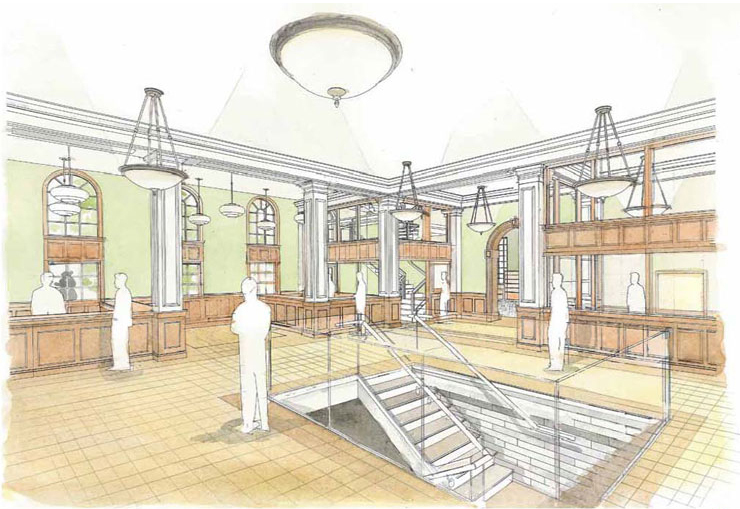 GM was alerted by DCist and We Love DC that the plans for the renovated Georgetown library are available online. GM saw them from afar briefly during an ANC meeting last winter, but it’s nice to see them up-close without having to sit through two hours of applications to replace old windows. 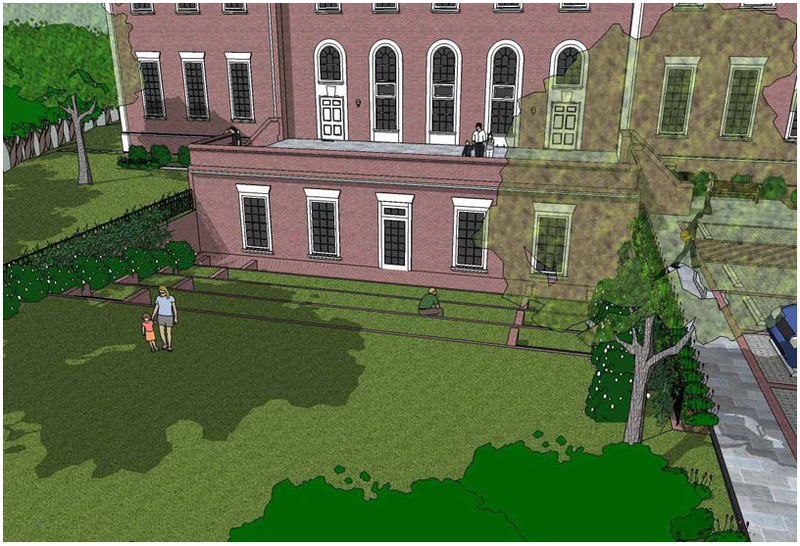 The southern exterior will feature areading pavilion and steps down to the Children’s Library, which will be in the basement. Having the steps down will bring a ton of light into the basement. 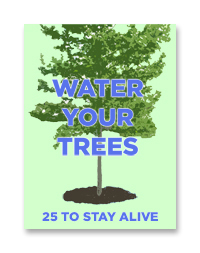 This will be a great addition to the already spectacular Book Hill Park. GM believes this is a shot of the renovated top floor, which will house the Peabody collection. 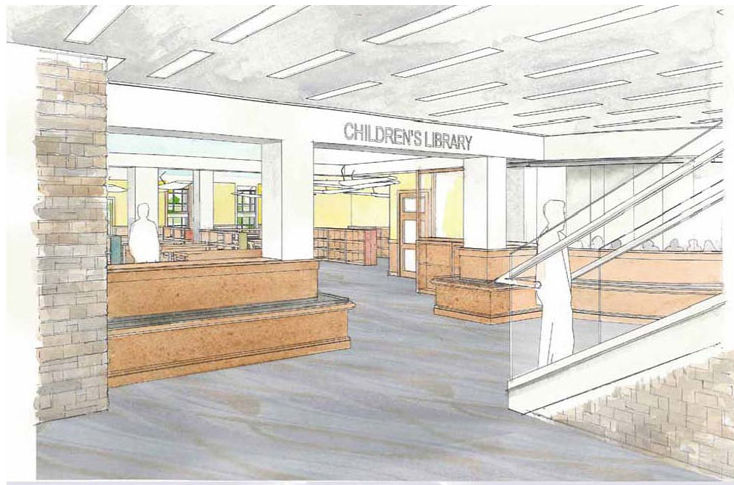 The Childrens’ Library will be moved to the basement, which will be much brighter due to the changes to the southern exterior described above. 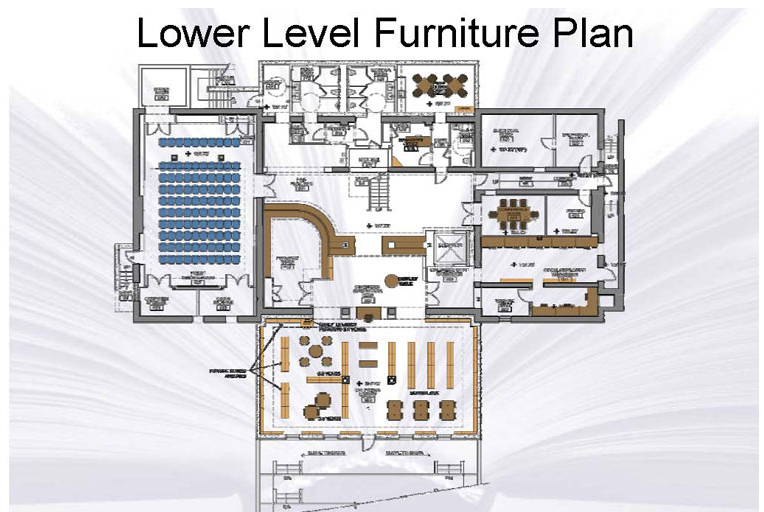 This is the plan for the basement. You can see on the left that they are incorporating a community meeting room. At the ANC meeting mentioned above, the commission was adamant about the need to improve the designs to make this space more functional. The main sticking point was that there were no solid plans to isolate this space from the Childrens’ Library, so if an evening meeting were to be held, either the Childrens’ Library would be unattended or Library staff would be required to stay late. It looks like these designs may have addressed those concerns by closing off the space more. GM is hoping this community meeting space gets used a lot, particularly for ANC meetings. For one thing, it wouldn’t be full of crucifix’s like Visitation is, thus avoiding any Establishment Clause issues. Secondly, it’s much closer to him. GM admits he probably cares about the later more than the former. According to the website, the construction will be complete Fall 2010. So, 2010 is shaping up to be a big year for upper Georgetown. A new Social Safeway and a new library. Wow. These plans are awesome. 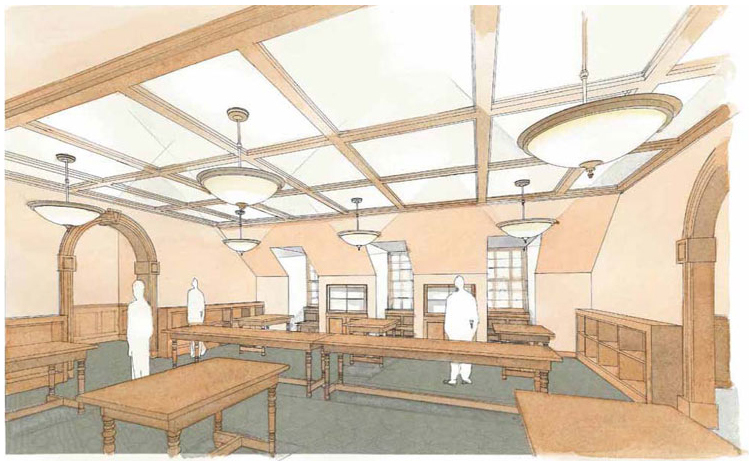 I loved the old library before the fire, and often went there to study/relax. This section of Glover Park is really on the up-and-up.